Oddsocks Productions are one of the UKs best-loved touring theatre companies. We believe passionately that every person in society has the right to access and enjoy theatre in an entertaining, informative and inclusive environment. We tour a minimum of twice a year, across the UK and Channel Islands with accessible, entertaining, bold and adventurous adaptations of Shakespeare and classic stories. We are an independent company and do not receive any public funding. 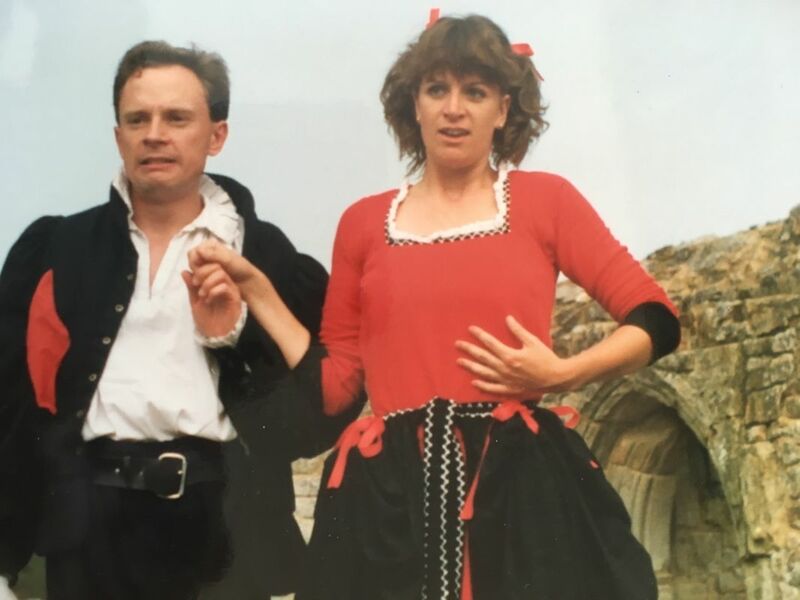 Oddsocks Productions was formed in 1989 by husband and wife Andy Barrow and Elli Mackenzie who met at the Webber Douglas Academy of Dramatic Art. 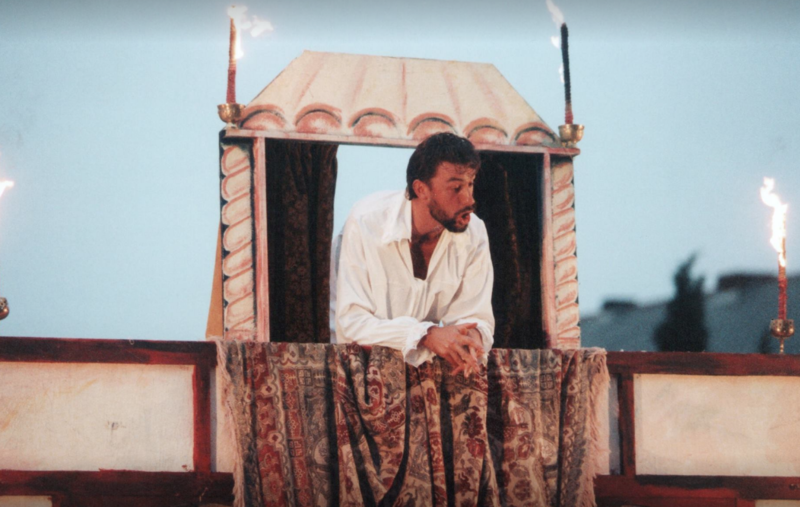 By combining their classical acting skills with clowning techniques gained whilst working with The National Street Theatre and writing skills honed by working with The Marcher Lords Historical Promotions Unit, the unique "Bard’s Best Bits" were developed and commissioned by English Heritage for performances across their various national sites. 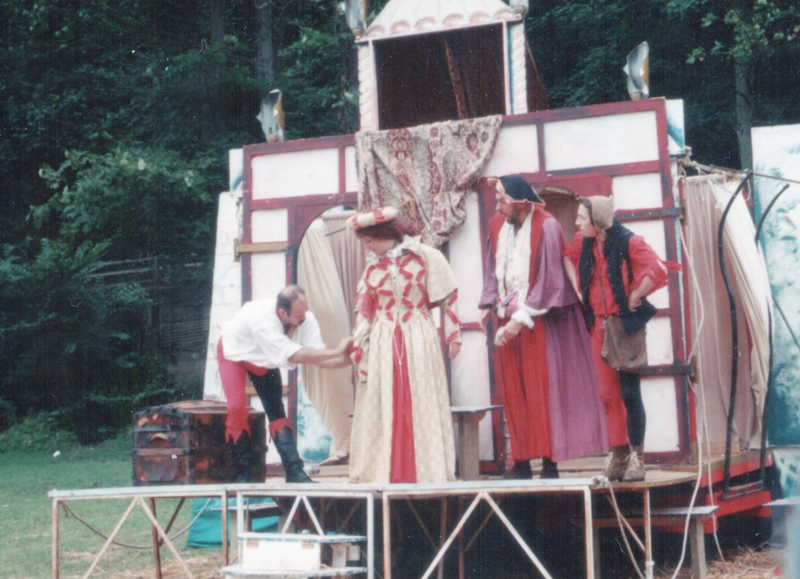 By 1993, demand for the Oddsocks style of theatre was so great that Andy and Elli embarked upon their first full scale summer theatre tour "The Taming Of The Shrew" with the support of Robert Hardy CBE. This was so successful that a second theatre production toured the following summer, followed by a winter theatre tour. Since then, Oddsocks Productions has toured theatre twice a year to England, Wales, the Channel Islands and often to the Middle East. Our inclusive approach means that varied communities across the UK are able to engage with theatre. We aim to tell good stories in a fun, informative way; gently challenging people’s perceptions and the way in which they react to theatre. engage as many people as possible in exploring the potential of theatre and the stories it tells. Breaking down the barriers between communities and culture.